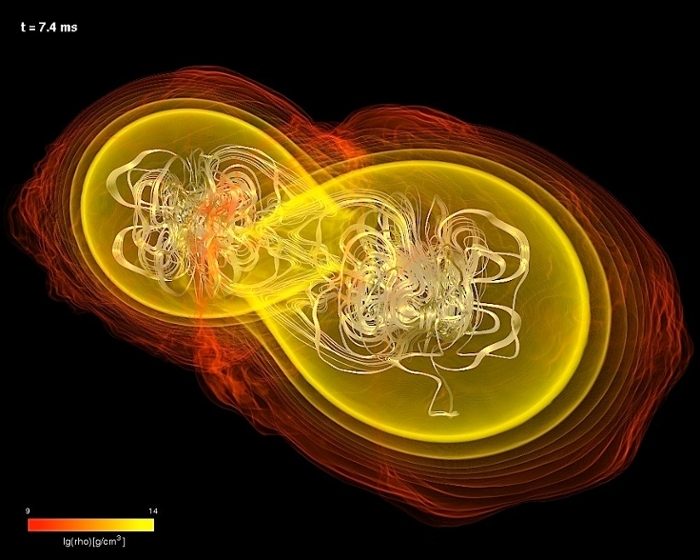 What happens when two neutron stars collide? Few natural phenomena are as awe-inspiring as the night sky. One especially intriguing astronomical object is the binary neutron star system. This is where two stars explode into supernovae around the same time, which often creates two pulsars that scientists can track. When stars collide. Visualization of a binary neutron star merger simulated with the superfast WhiskyTHC code for fully general relativistic hydrodynamics. Courtesy RelAstro at Institute of Theoretical Physics. Dr. Luciano Rezzolla, chair of theoretical astrophysics of Goethe University presented his work on binary neutron star systems at PRACEdays18. As he told his audience in Ljubljana, he relies on high performance computing (HPC) to simulate these fascinating systems and learn more about them. Although their lives are measured in millions of years, stars have a finite lifespan. In its youth, a star’s gravity pushes inwards, while the pressure created by thermonuclear fusion processes pushes outwards. As it ages, the amount of material available for the thermonuclear processes wanes, and gravity begins to dominate the force balance that up until then had regulated the stellar equilibrium. For a star that is no longer in equilibrium and that is sufficiently massive, gravity forces the star to collapse. This implosion occurs with so much force that it rebounds, wiping out the external layers of the star and creating a supernova. The remnants become a neutron star. These incredibly dense spheres measure only around 20 km across and have some very interesting properties. 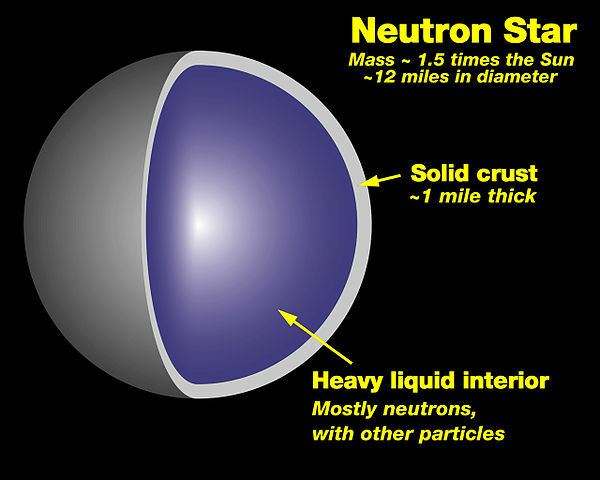 If conditions are just right, a neutron star will begin to spin, discharging radio waves and radioactive particles from its poles. Rezzolla likens these pulsars to a lighthouse, emitting a beam of radiation that can be seen from Earth. In a binary system, each neutron star inches closer to the other, due to their high gravitational pull and the loss of energy via gravitational waves. 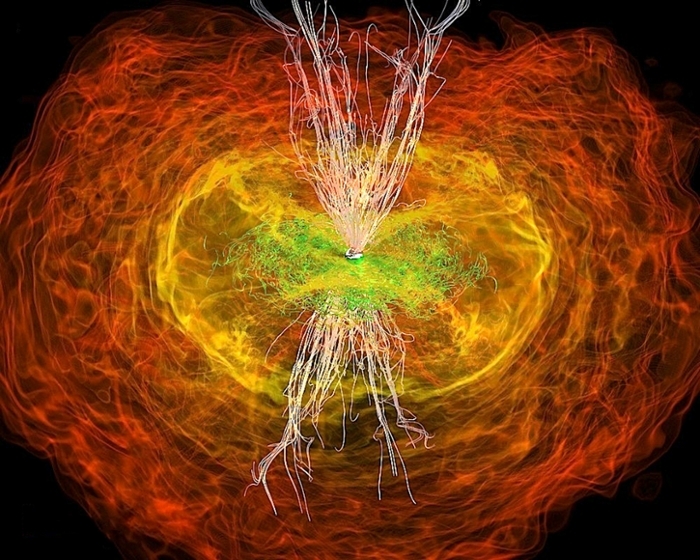 Over time, these pulsars eventually collide. When they smash, they give off an electromagnetic pulse strong enough to be observed from farthest corners of the Universe. These “fireworks,” as Rezzolla calls them, also produce a short gamma ray burst and gravitational waves. The uniqueness of neutron stars makes them a valuable resource for scientists. Through observation, researchers can draw conclusions about other physical phenomena. But how can scientists study something so far away and that can’t be replicated in an accelerator? HPC simulations, of course. “Accelerators take two particles and smash them together, but the high density of nuclear matter means that you need billions of particles interacting. You cannot produce that in a laboratory,” says Rezzolla. In this case, the ‘blackboard’ is a supercomputer. 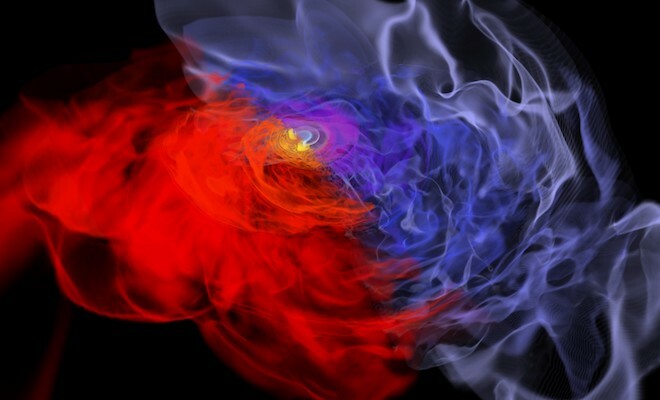 “Gravitational waves are the signal produced by the dynamics of this binary system as they merge— you can think of this like smoke from a fire,” says Rezzolla. And lest you think that explosions in outer space have little relevance for our lives down here on Earth, Rezzolla points out that a lot of current technology that we now take for granted, such as cellphone cameras, Wi-Fi, and GPS positioning, all grew out of astronomical research, that is, research that did not have any specific technological application. “The technology for taking pictures, all the selfies that populate the internet, that very technology comes from the CCD camera, which was developed in the 1980s to take pictures of stars,” says Rezzolla. While scientists are calculating equations to comprehend the inner workings of neutron stars, increasing computing power is getting them closer every day. And when the smoke clears, we’ll hopefully have a greater understanding of the universe—and some cool new tech for interacting with our immediate surroundings.